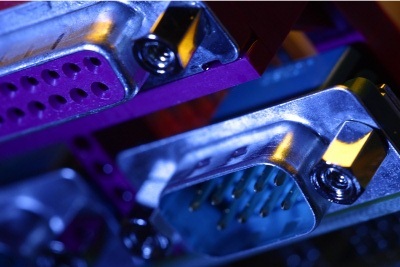 Are you feeling constrained by the limitations of VB's RS232 ActiveX? Wondering what happened to the RS232 control in .NET? Then move over to SI_COMM the 32 bit ActiveX by Software Innovations. 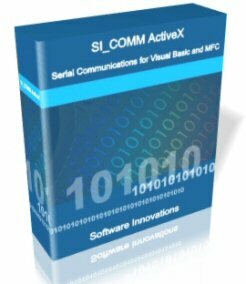 With SI_COMM you get an easy to use ActiveX that can handle the most demanding communications requirements. Don't get stuck with the control that came in the box and won't be able to meet your needs as your requirements change. Upgrade your communications control to SI_COMM today! Complete control over all RS232 line parameters. File transfers using ZMODEM, XMODEM, and YMODEM. Multithreaded file transfer engine can perform multiple file transfer operations at once. Inter-character pace time calibration down to the millisecond on data transmissions. CRC16 and CRC32 calculation methods. Peek support for non-destructive examination of the receive buffer. WaitFor family of methods return when program specified data is collected in the receive buffer. 16 different flow control settings built in. 32 modem handling properties and methods. Supports VB4, VB5, VB6, C++, VB.NET, and C#. Wrapper class included for easy integration with Visual C++. Working example programs included for all supported development environments.